I had three girls in about 3 1/2 years.....it was a lot of fun! They are wonderful friends and have a lot of fun together. I do miss the endless hours of Barbie! the quilts are simply amazing works in progress! How adorable is this Penguin and Fish fabric! Rita's quilt is on-point with lots of bright color and spots!!! Jennifer is working on a wonderful log cabin! Very sophisticated and perfect as a wall hanging for her home. Jenny is working on a bow-tie quilt....just fantastic....even a mini!!! Felisha's wonky log cabin! No borders yet in this pic, but this is for a new big girl bed! Peggy was working on her quilt when I took the picture, but you can see what a vibrant quilt this will be. And to top it off she will be trimming it in a border of red corduroy! How perfect is that? It warms my heart that they have all decided to hand quilt their quilts - so in a couple of weeks I will bring you a new set of quilted pictures! Today is my son's birthday too! Very fun! Have a sweet day! Lovely quilts! I have a Maggie, too! Happy Birthday Maggie! Hope you have a great day! And beautiful work from your students! 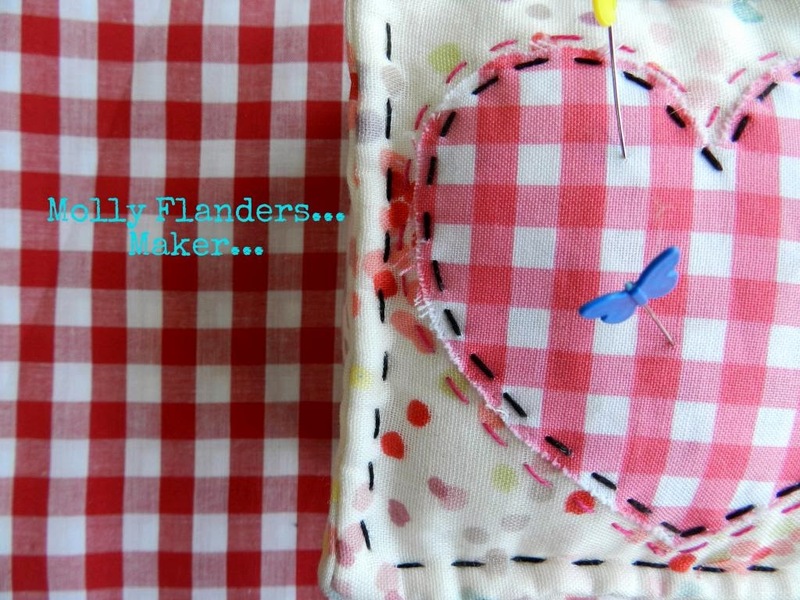 It's so nice to see that they are all into hand quilting - it makes my heart sing. Happy Valentine's Day! Wish I was in your class Mary! Happy Valentines Day and Happy Birthday to Maggie. Love the quilts in progress. Happy Birthday Maggie - what a pretty girl! Love your heart at the end of the post. Some talent in that class of yours! Happy birthday Maggie!! What a great day for a birthday. It's wonderful seeing all of those quilts, all so different and all wonderful! It's always so much fun to see the pictures you post. Happy birthday to your daughter! A happy birthday to your dear daughter! Happy Birthday Maggie and Happy Valentine's Mary! happy birthday to maggie! how fun to have a love filled birthday every single year! the whole world celebrates! i love all the quilts! what a talented bunch of ladies. and finally, i love that heart. it makes me happy looking at it. pinned! Happy Birthday to your daughter Maggie. I too had 3 daughters, though a bit further apart in age. And my youngest will be turning 23 in May. The quilts are so cute, looks like a great class. everything you make is wonderful/beautiful, mary, . . . quilts, daughters . . . whatever. What lovely quilts. The monkey one is adorable! Ditto to what HasieB said. Seriously. Your daughtere is an absolute beauty!!! I have 1 daughter and love our days out together. Your quilts are so fun, love the heart.